The initial aftermath of the horrific attacks on the Houses of Parliament led many organisations scrambling for information. 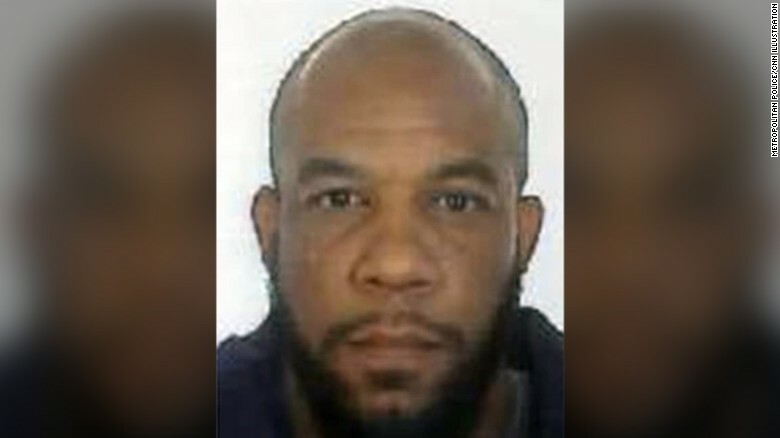 As more information is being released by the police and intelligence agencies, the attacker has now been identified as 52-year-old Khalid Masood. Masood, who was born in Kent but later moved to the West Midlands, was a former English teacher, a husband, and a father of three. Masood was also a convert to Islam; and yet another case that establishes the seemingly inexplicable allure of radical Islamist ideology to converts. Though it is vital to reiterate that for the vast majority of converts to Islam the motives are rarely political, converts have, time and time again, been found to go through a rapid process of radicalisation when it comes to committing violent terrorist attacks and tend to be the most vicious when doing so. I believe that there are three main reasons why converts are particularly vulnerable to radicalisation. Firstly, because converts often know very little about Islam when they first decide to switch over, they are susceptible to brainwashing and propaganda, making them ideal targets for recruiters. Because the convert will often have no one else to consult and no independent guide to their new faith, recruiters may feed the individual whatever information they wish, and the indoctrination can easily go unchecked and unchallenged. Individuals who are Muslim from birth retain the potential to be advised on their extremist views with more moderate interpretations by a family member or a Muslim friend. With converts, this opportunity is non-existent since there isn’t a moderate sounding board for their ideas. Unfortunately, with social media becoming the main source of Islamic education today for Muslims newly discovering their religiosity, the default position is a puritanical reading of the Koran. This theological maze is immensely difficult to navigate for Muslims who come from Muslim families, let alone for converts. This leads us to the second major factor in the radicalisation of converts: they are eager to please. Because converts find themselves trying to integrate with an entirely different subset of society, they are compelled to quickly forge new relationships in order to demonstrate their loyalty and faithfulness to the community, and to show that they belong. Converts have something to prove, and they are thus much more likely to employ theatrics and exhibit their loyalty through savagery. The savagery and harshness is a way of overcompensating for the fact that they are new to the religion and that their knowledge is very minimal. Lastly, we need to analyse the social standing of a convert. A non-Muslim who converts to Islam will likely find themselves marginalised, at least to some extent, from their family and friends when they decide to make this major change and declare a drastically different worldview. To add to this, the convert has chosen to partake in a religion that, for whatever reasons, is one of the most ostracised and controversial faiths in our world right now. Consequently, the convert is now doubly marginalised from society. This, in turn, will lead the convert to involve themselves heavily in their new religion in order to establish a new and reformed social status with their adoptive community. Conversion to any religion, let alone to one that is routinely labelled backward, is a testing journey and one that can leave a person feeling abandoned by all sides. While family and friends may shun them for making such a drastic change, the mainstream Muslim community may still see them as outsiders. In such a scenario, joining a small, intimate band of extremists, who are always on the hunt for recruits and wouldn’t turn anyone away, may appeal to the convert’s desire for belonging and membership. To understand the process of radicalisation, it is vital that we view the problem holistically while also considering nuances such as converts’ increased susceptibility to extremist views. Extremists will continue to spread their propaganda. How we respond to extremist messaging, and whether we provide a robust theological counter-attack, will impact future generations and those who are most vulnerable. The key to safeguarding these individuals is to delegitimise the broad spectrum of ideas that are shared by extremists and the mainstream religious community. Only then can extremist ideology be laid bare for what it is: an artificial claim to salvation and a distortion of core Islamic teachings.